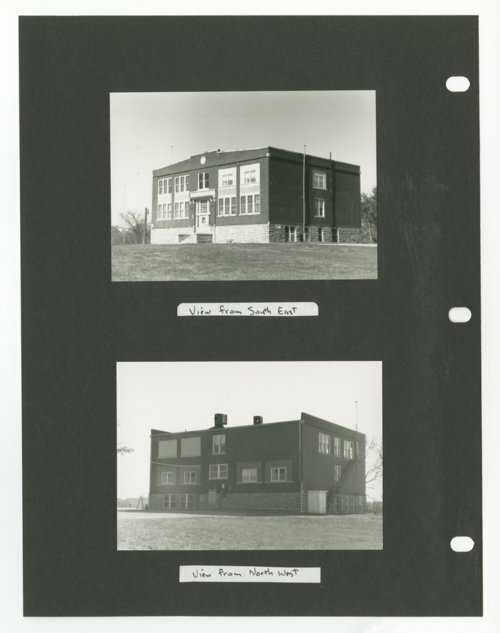 Several black and white photographs of the abandoned school in Muscotah, Kansas. The photographs were submitted to the Kansas Film Commission by Terril S. Huntley in hopes of garnering interest in the location as a possible film site. The school was built in 1916 and operated until 1990.